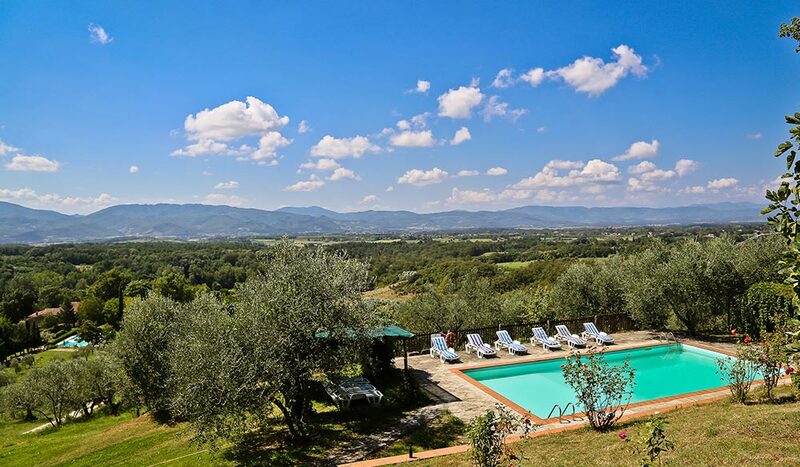 Beautiful views of the fields unfold as you reach the small hamlet of Il Poggio alle Ville where Villa Montagna is situated. 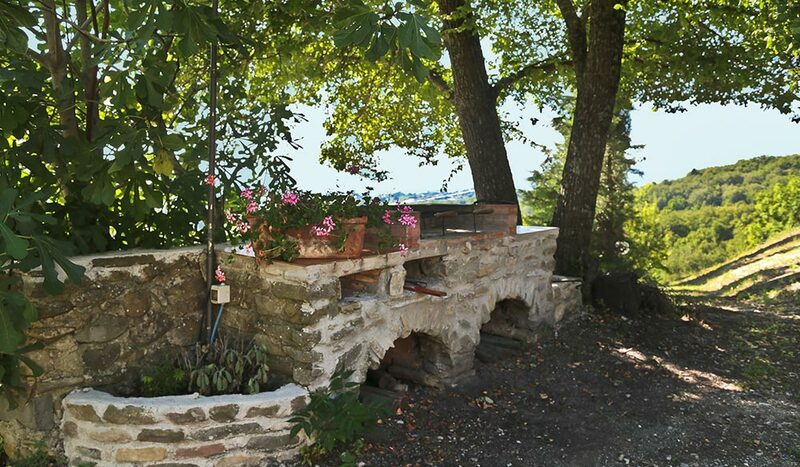 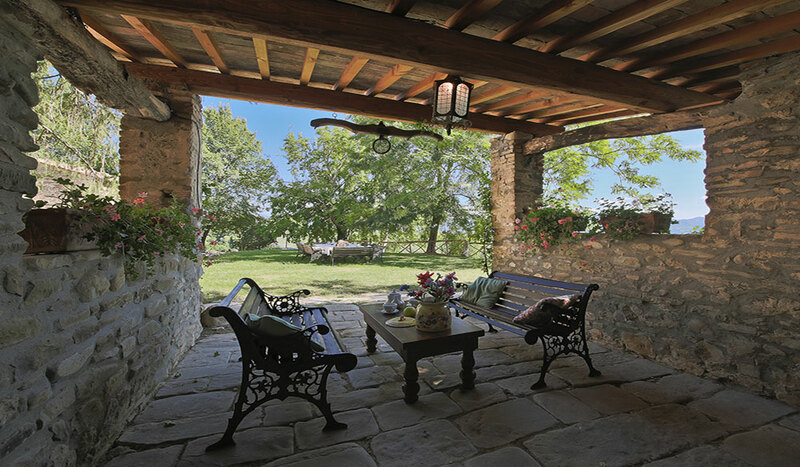 The moment you arrive you know you've chosen well: bright geraniums under the trees, roses clambering the stone walls and a beautiful green garden in which guests relax in sun or shade. 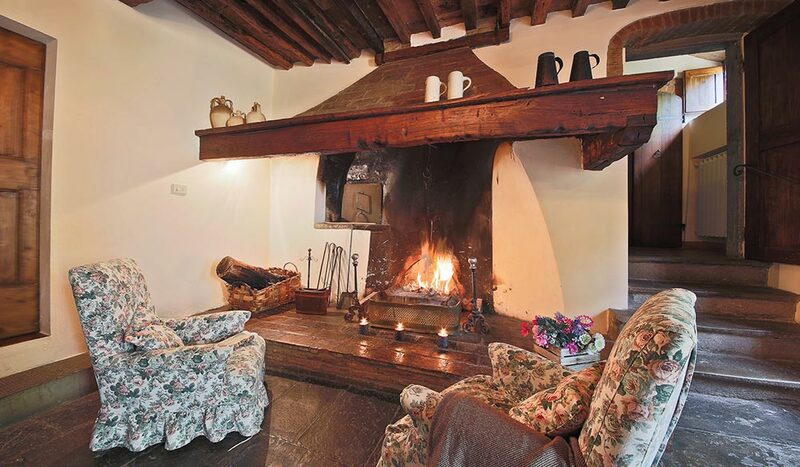 Delve into the charming past of these old stables transformed in cosy living rooms. 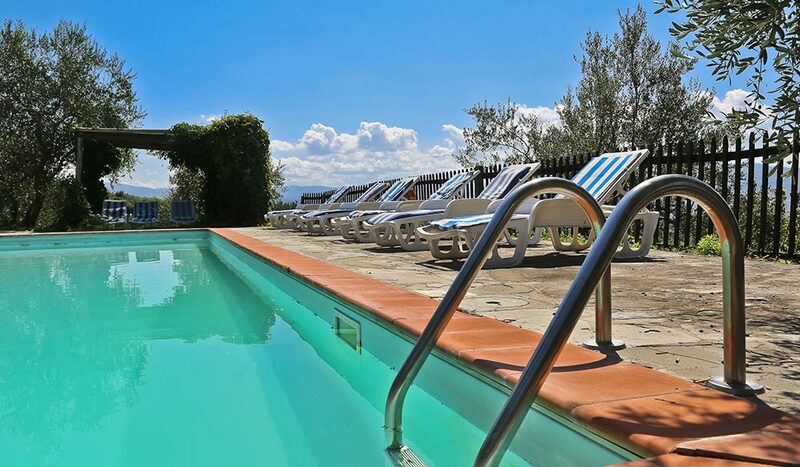 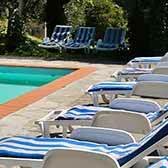 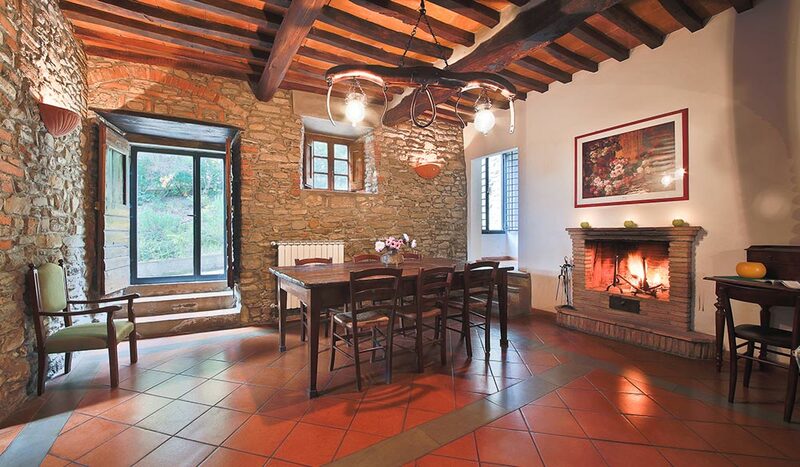 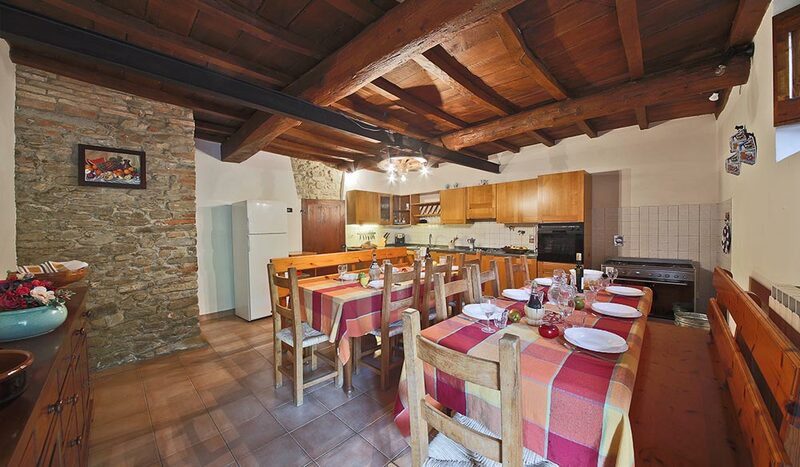 Large independent pool with shady pergolas and a magnificent view over the Mugello valley. 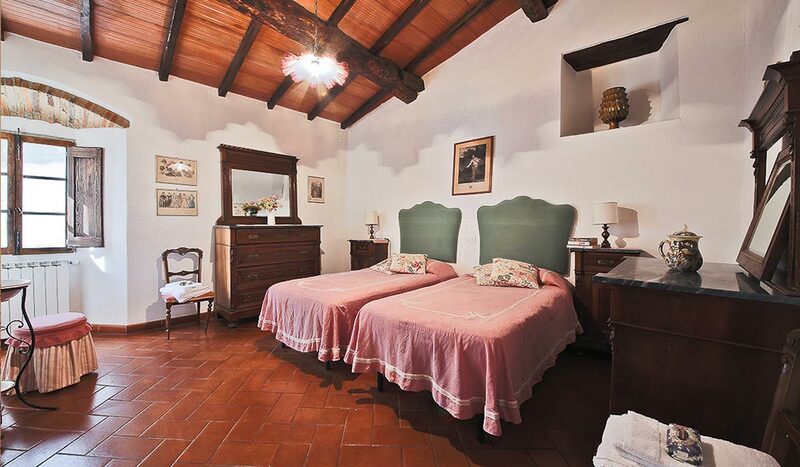 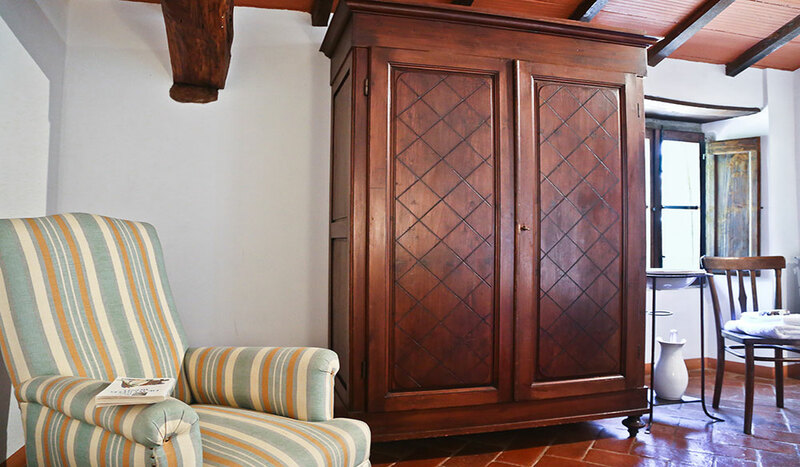 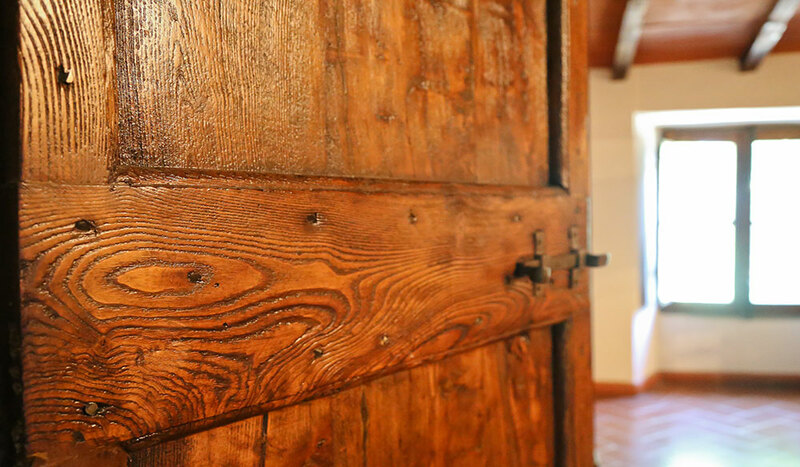 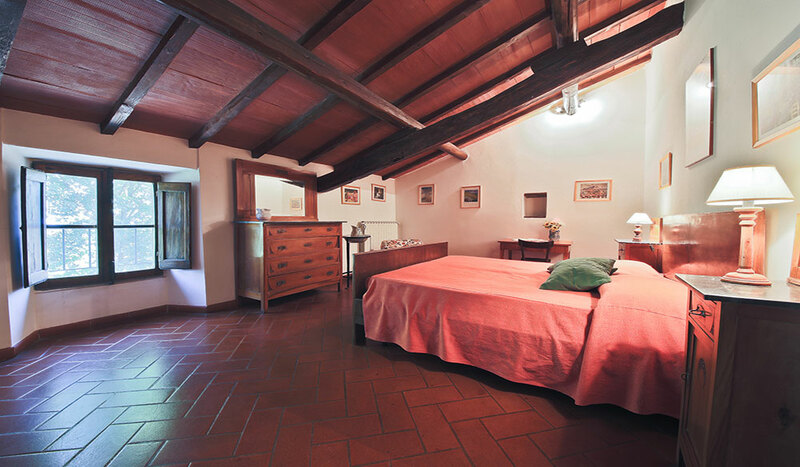 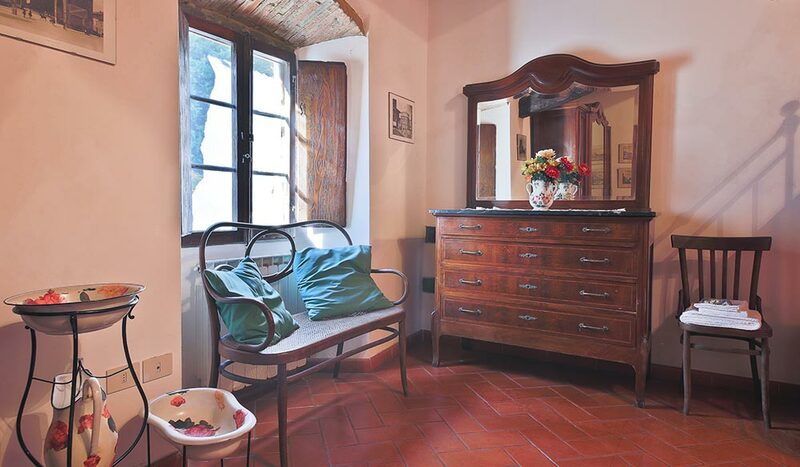 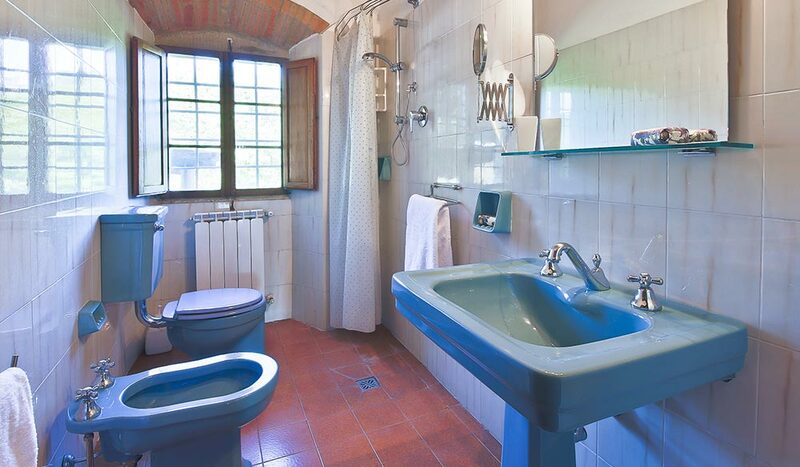 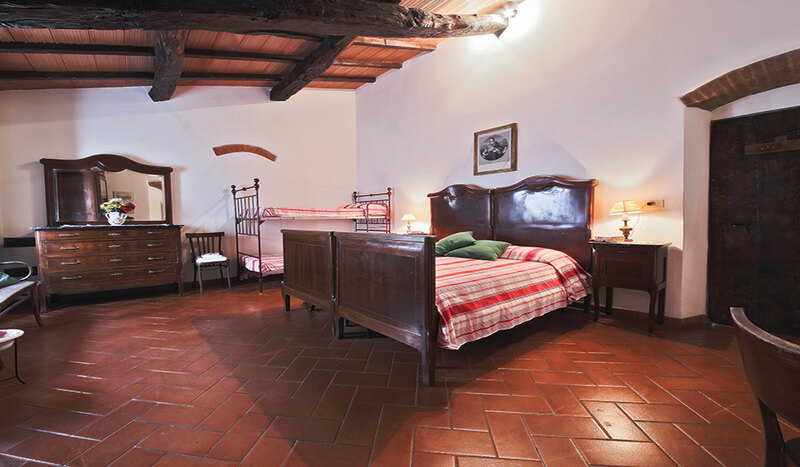 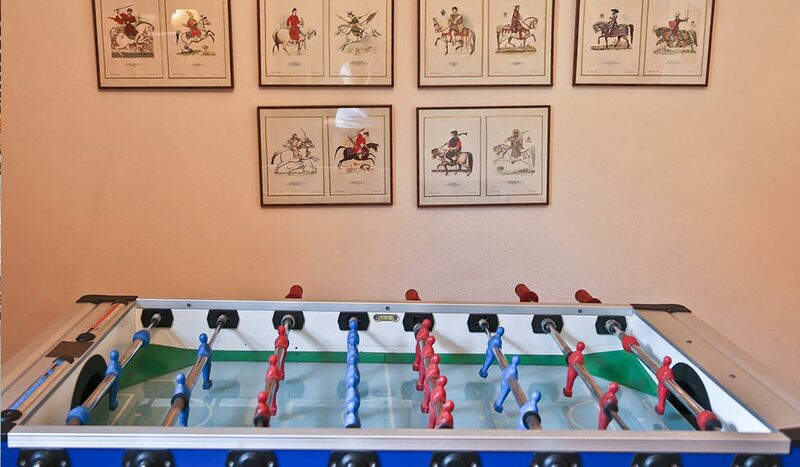 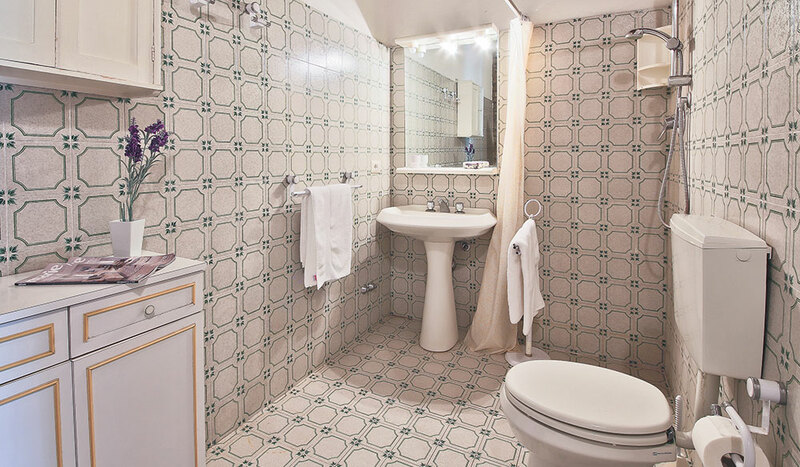 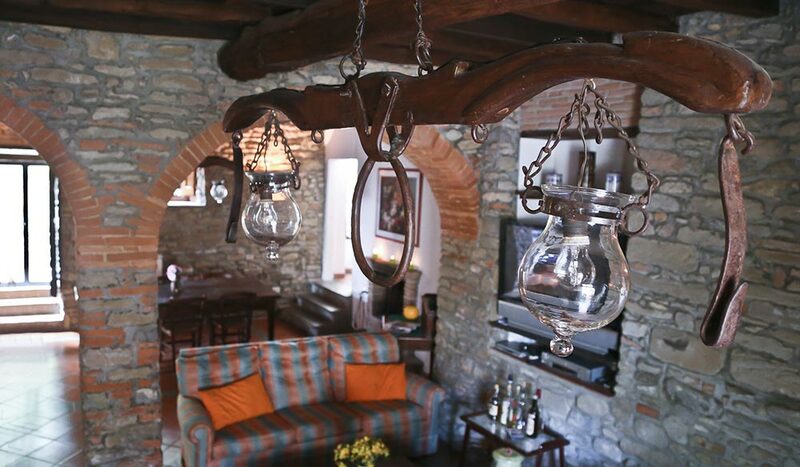 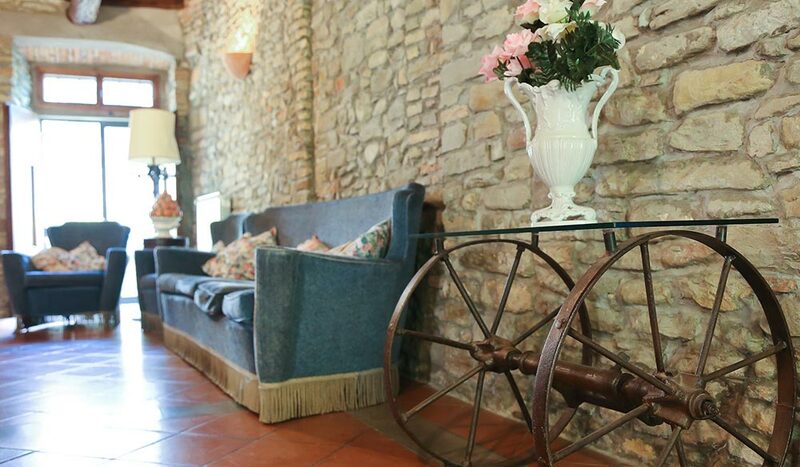 Villa Montagna, a large rustic 17th century building, was restored at the end of the 1990s so as to make our guests feel like stepping back into a charming past. 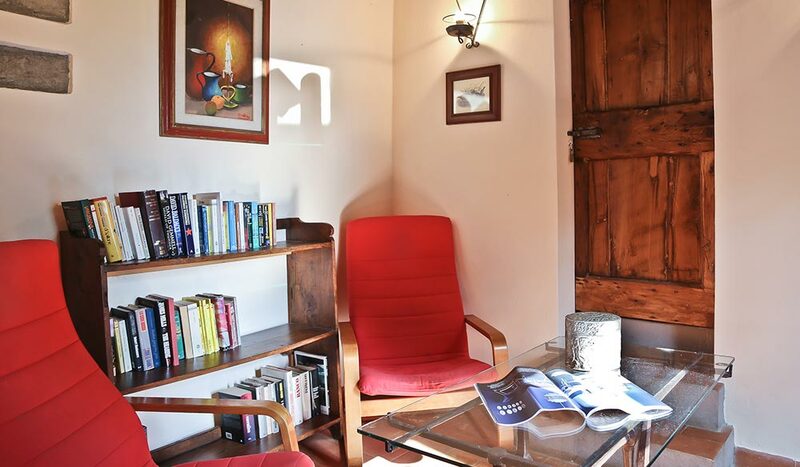 It can accommodate up to 18 people, thus perfect for travelling with friends or family: eight bedrooms (three have an en-suite shower bathroom, three shared showers on the corridor), a huge living room, games room, a small reading room and a large kitchen. 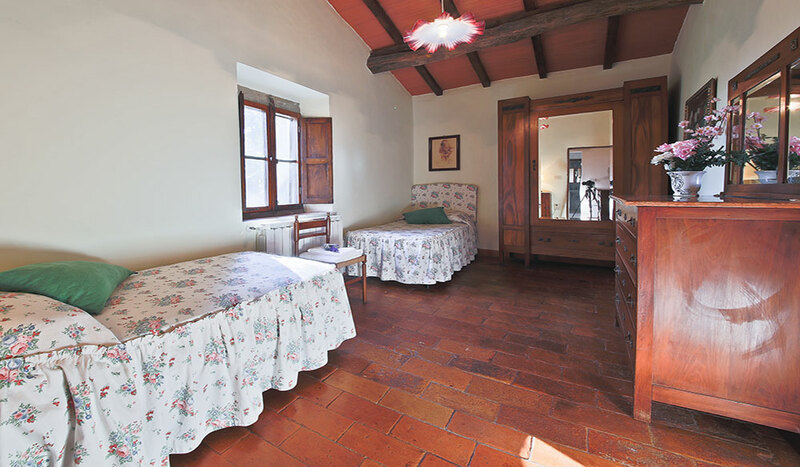 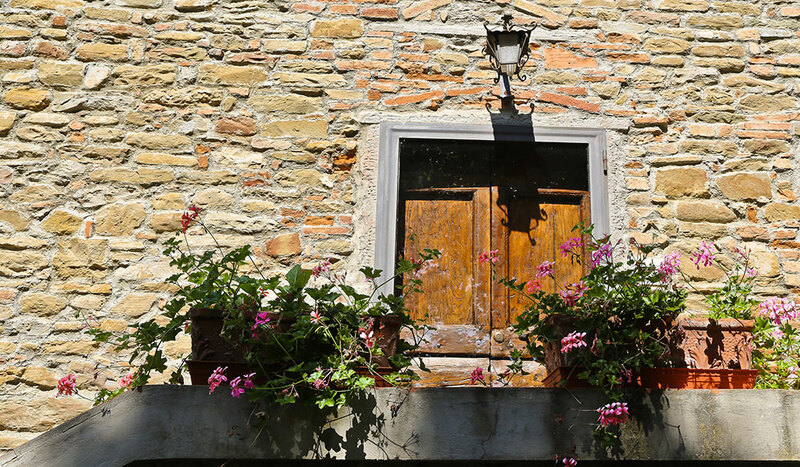 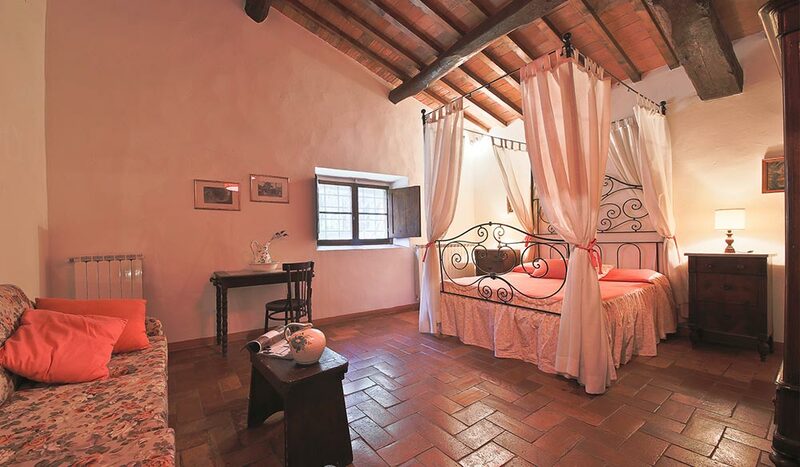 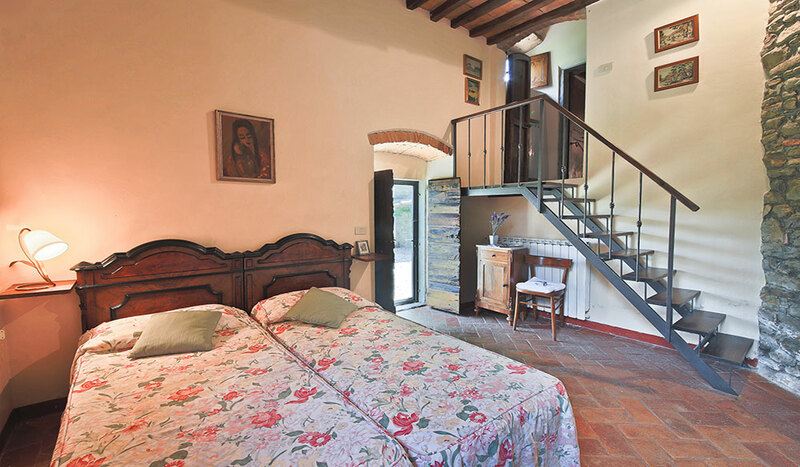 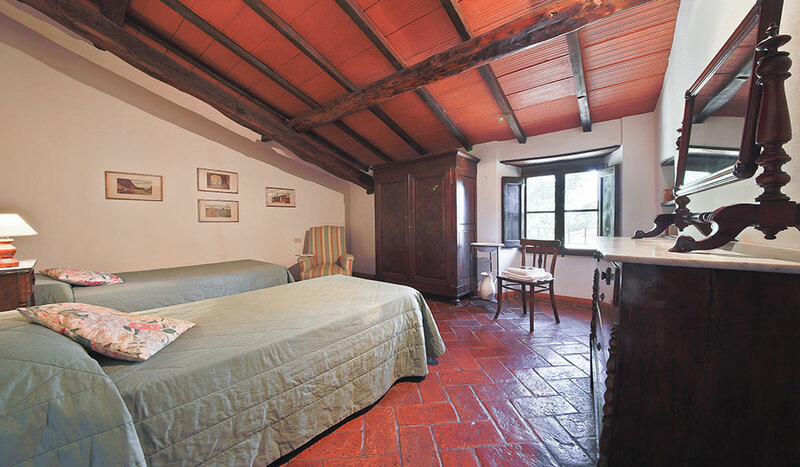 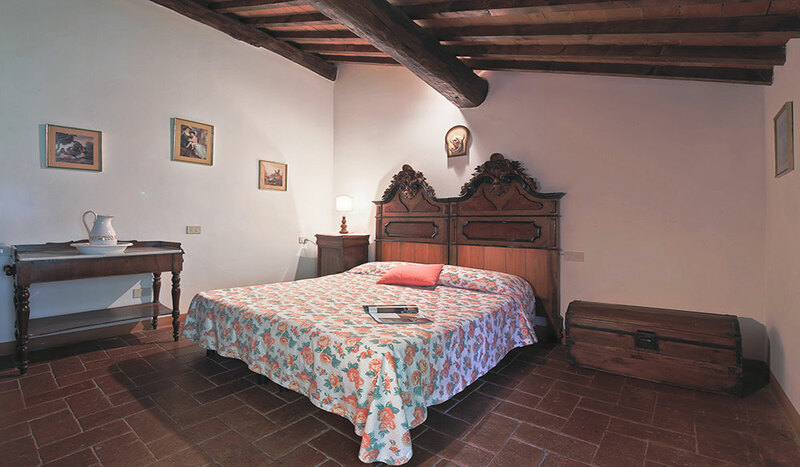 Step in to find venerable old beams and terracotta floors, white arches and narrow steps, floral bedcovers and snowy towels, perhaps an iron bedstead, a welcoming fireplace or a picture of the Madonna on the wall. 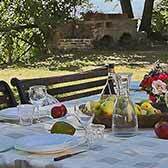 The barbecue overlooks the hills; the garden and the private pool offer stunning views. 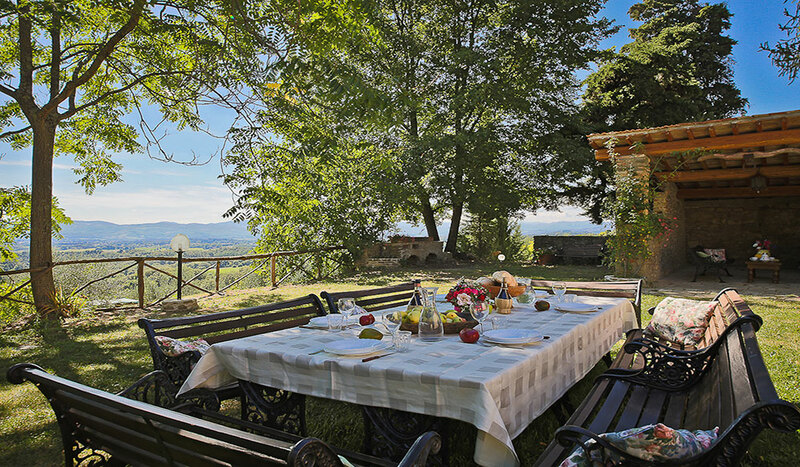 Villa Montagna is a unique place to enjoy the tranquillity of a magnificent natural setting, while being within reasonable distance of shops and important cities. 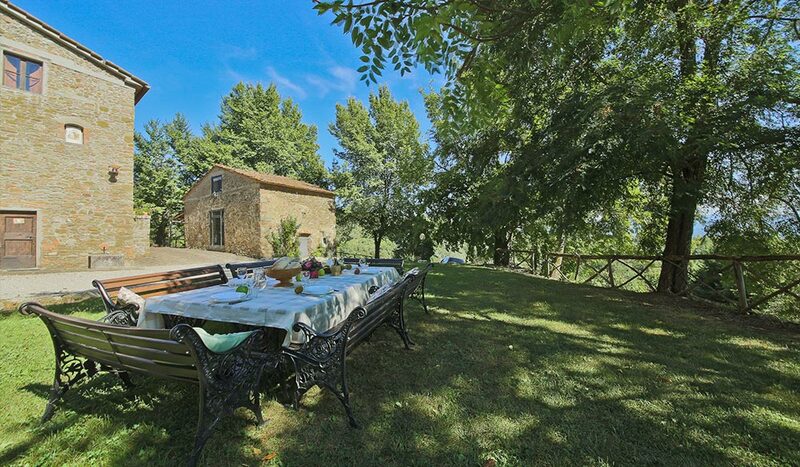 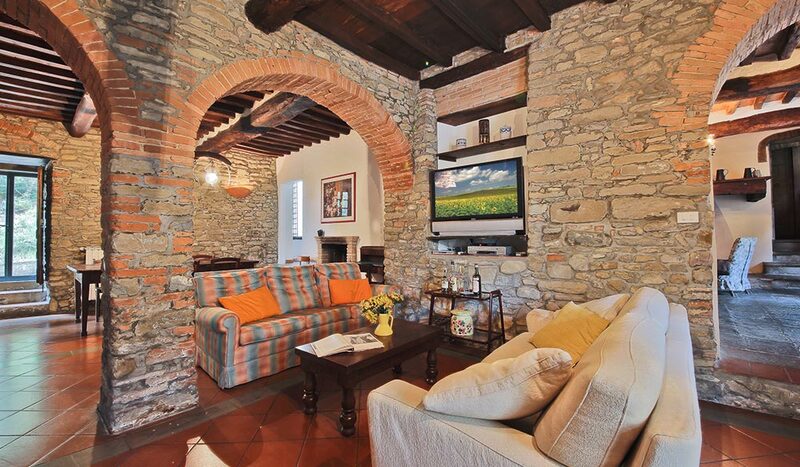 A true gem for travelling in Tuscany.